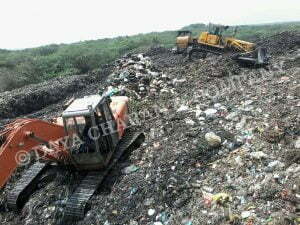 Our efficient dumping methods along with scientific management have made several landfills usable. We have also conducted work on safe closures of landfills as well building new scientific landfills from scratch. This involves operation and maintenance of corrosive materials, old solid waste and fresh solid waste. They are carried out in a manner so as to reduce emanation of foul smell or odour at landfill and also control proliferation of flies and other disease-causing insects. Some specific steps and procedures are followed to reduce the accumulation of liquid that drains from the landfill. 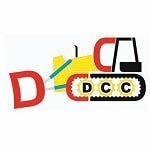 We use heavy equipment like bulldozers, excavators and trommels in management of landfills. 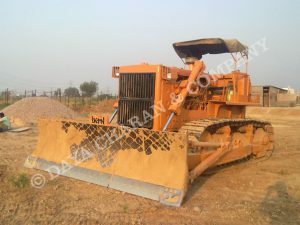 Bulldozers and other equipment is used to shift, separate and segregate huge amount of solid waste on the landfill. Our repertoire is replete with management of Municipal Solid Waste landfills (MSW landfills), which were old, unorganized and crammed beyond their capacity. Our efficient dumping methods along with scientific management have made several dumping grounds and dumpsites worthy of use by transforming them to new landfills capable of accumulating more waste hence reducing the burden on existing MSW landfill. We have a rich experience of undertaking complete landfill contracts, right from operation & maintenance to shifting, separation, levelling and eventual dumping of waste.